We carry a wide variety of area rugs in our online store, so you can certainly find the perfect option for your space in Collingwood, ON. Hardwood, vinyl, and other similar types of flooring are popular throughout the country. These materials look chic and classic, but they might also feel cold and not as welcoming as carpeting. One of the major benefits of hardwood or vinyl is that these types of flooring don’t harbour dirt, dust, and other allergens the way carpet fibres can. For those who suffer from allergies, replacing carpeting with a harder type of flooring is a welcome change. But if you make this choice in your home, you might notice that you miss the soft and warm feel of carpet. Area rugs are the best of both worlds, since they are easier to keep clean but add the softer touch to a room. At Giant Carpet Flooring Centre, we carry a wide variety of area rugs in our online store, so you can certainly find the perfect option for your space. Whether you are looking for a smaller rug to go under a kitchen or dining table, or a larger rug that will fill the space in your living area, we can help you select the perfect one that will complement your personal style. Area rugs can be expensive, but at Giant Carpet Flooring Centre, we carry a range of colours, styles, and sizes to fit within your budget. Our prices are reasonable and competitive. Stop by our showroom today to learn more about the products we have available. 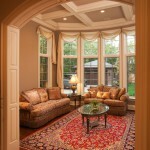 We provide our area rugs and other services to customers in and around the Collingwood, Ontario area.